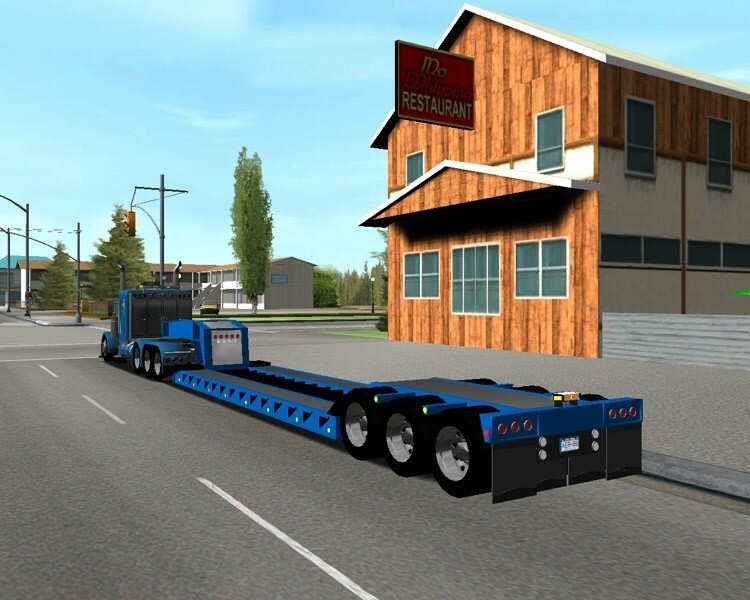 Truck & Trailer (Combo) - Haulin Trucks - Trucksimulator24 - Die freundliche Trucksimulator Community rund um den Euro Truck Simulator 2, Euro Trucksimulator, German Truck Simulator, 18 Wheels of Steel Reihe, Extreme Trucker und den ZModeler. Antworten im Thema: 21 » Der letzte Beitrag (Mar 22nd 2011, 3:41pm) ist von Transit. GMC_10 CONVERTED FROM "AI" TO HAULIN + NEW TRAILER (4 colors) THAT I'VE DONE FOR IT. 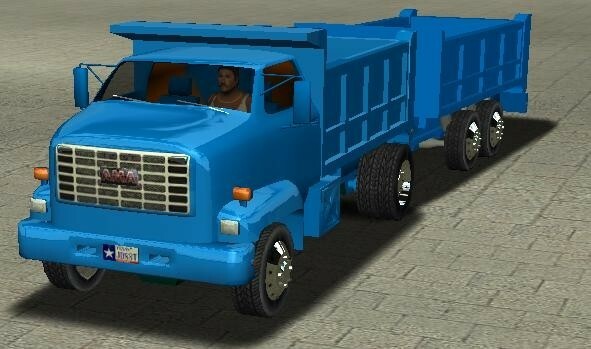 The truck replace the "ford CTL 9000". The trailer replace the "asphalt". 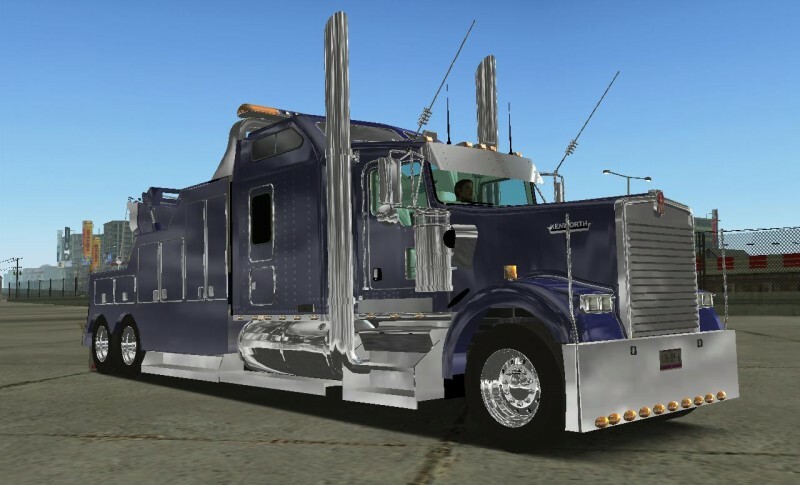 ut the (kenworth t600 plus btrain.scs) in your mod folder. i have included wheels shown in pics already in mod. it replaces doubles and dryvan trailers. 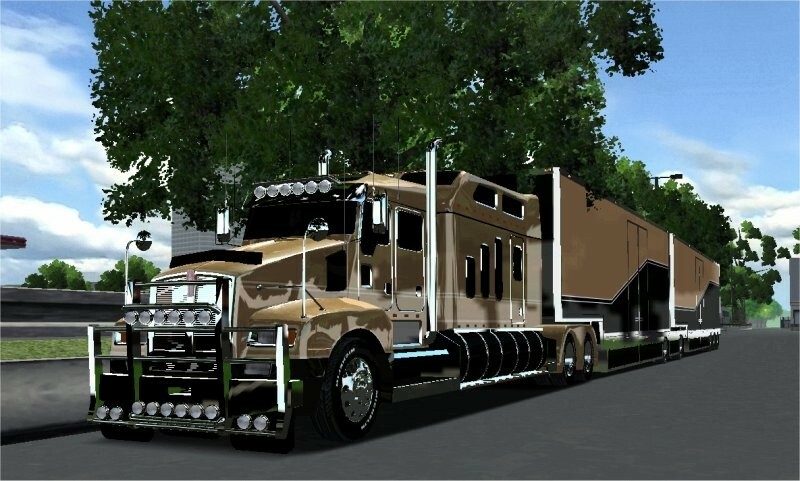 truck replaces kt600. remove all your other mods first and try again b4 posting errors. also if yu post a bug please include screenshot of bug. thanks to pete379jp for wheel mod and trailer base model. update! fixed flashers. fixed crash with luxury goods. 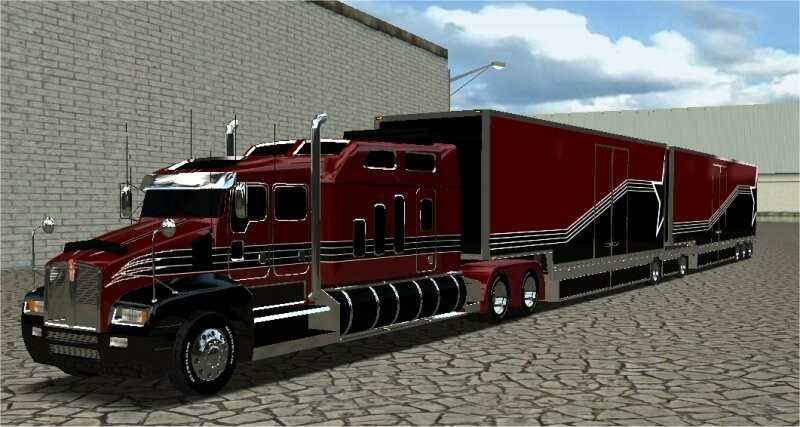 Peterbilt 387 Custom, with matching reefer. Cacy, Steve, Cory, Polarexpress17, Ivan, Peterbiltfan07, pete379jp, pete387, a2zracer, Mark, Kicker. Steve, pete379jp, longframefan, Ivan, pete387. And Mitch (Me) for converting, plus some poly fixes and whatnot, here and there. 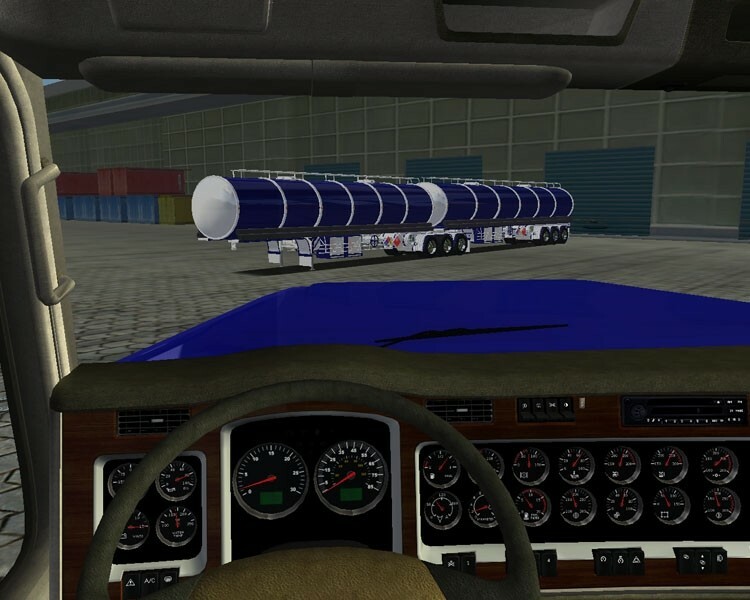 Install: Put the SCS in your mod folder. 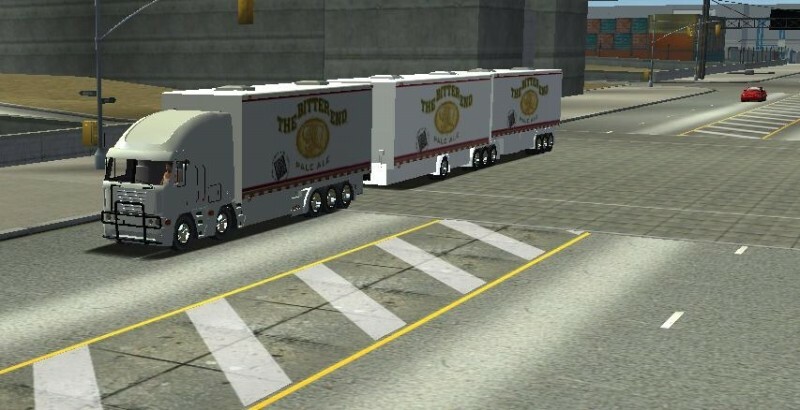 Depending on whether or not you have standalone trailers, you might need to edit the trailer storage. 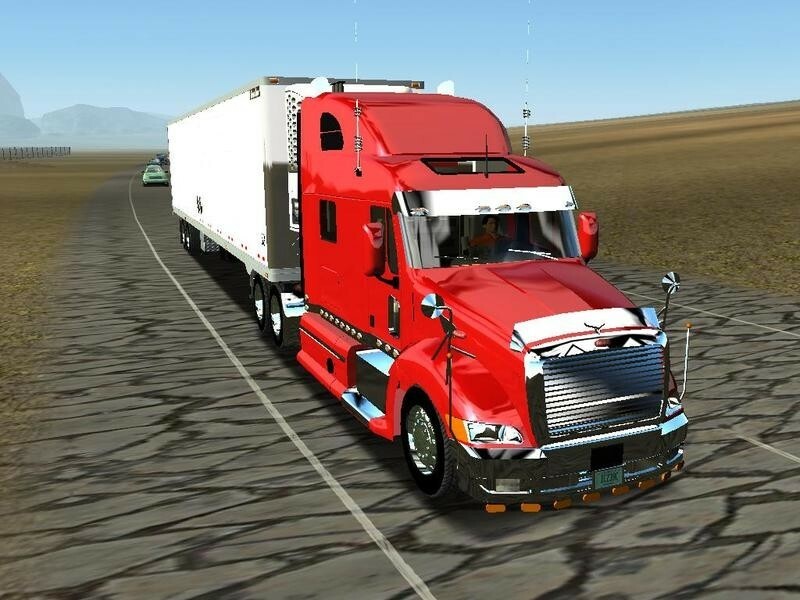 The truck replaces the default SCS P387, but the reefer is standalone. What I did to the truck was modify the fenders, fitted 4 tanks (2 stock), added antennas and made it right hand drive (including the wipers). 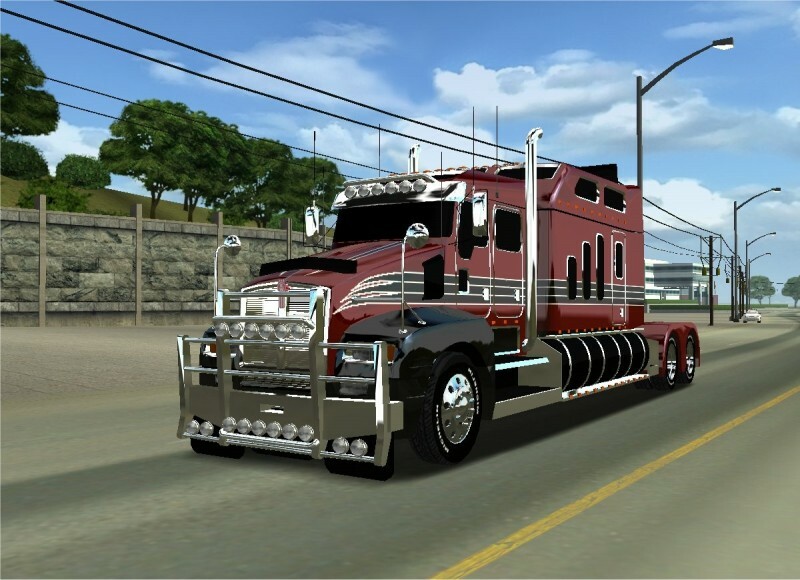 BTW I didnt add the bullbar because most Aussie 9900's don't have them, because they dont look good on this type of truck. The trailers were originally 53ft Dryvans, now with pete379jp's Reefer Unit, new fenders and a B-Double conversion. This is my best combo so far I think . There are 2 known issues with this combo. 1. The trailers replace the standard game Doubles (Standalone will come soon). 2. 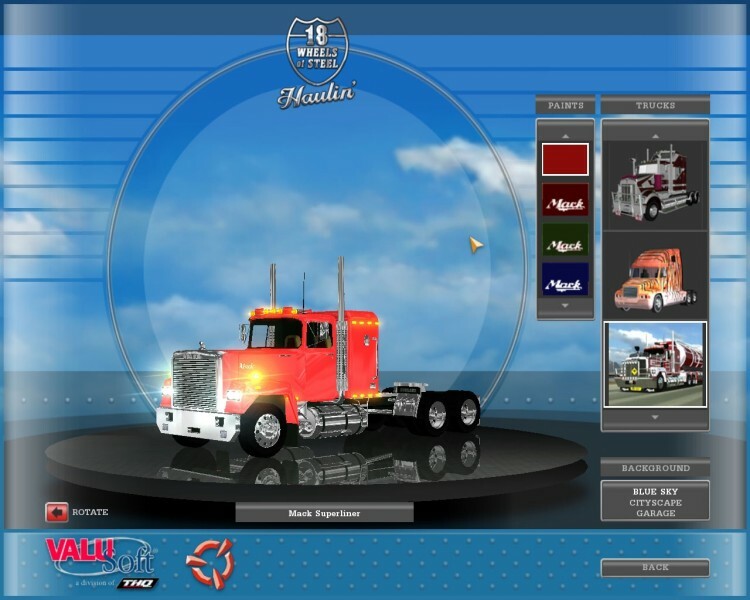 The truck replaces the standard i9900i. Format -> Word Wrap On. This is the lowpoly version, in my opinion, it looks better with just plain chrome and not hundreds of checker plates. It is more fun when you can actually drive a truck, rather than just looking. Directory-Images Photos of the ride. 1. The trailers are ALOT brighter than the truck, its unknown to me why. 2. 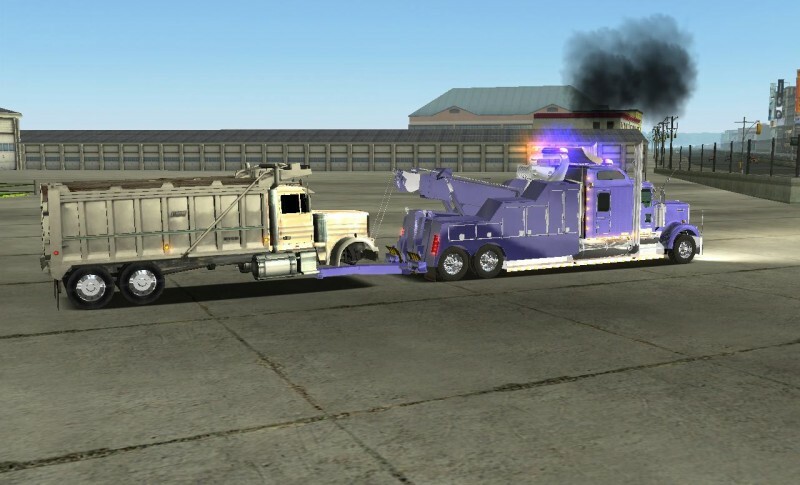 There is a problem with the A-Trailers collision file. 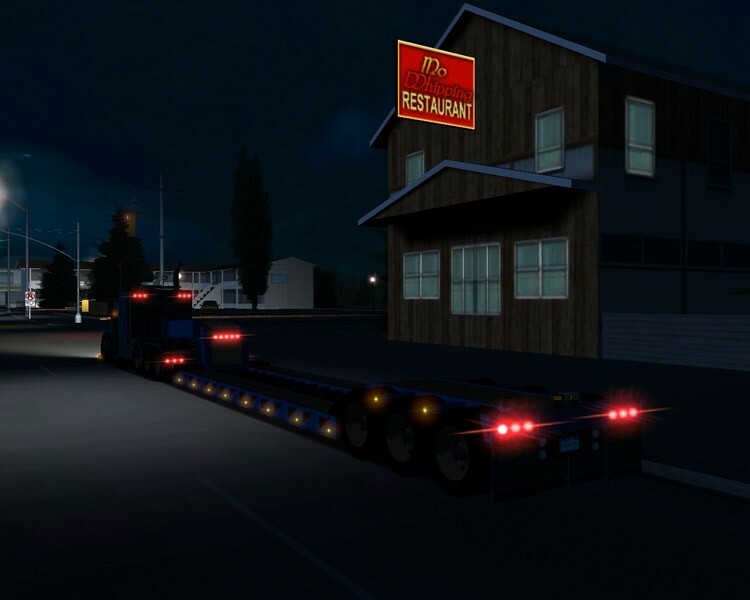 For Storage that is included to work have no other trucks or trailers with storages in your mod folder. 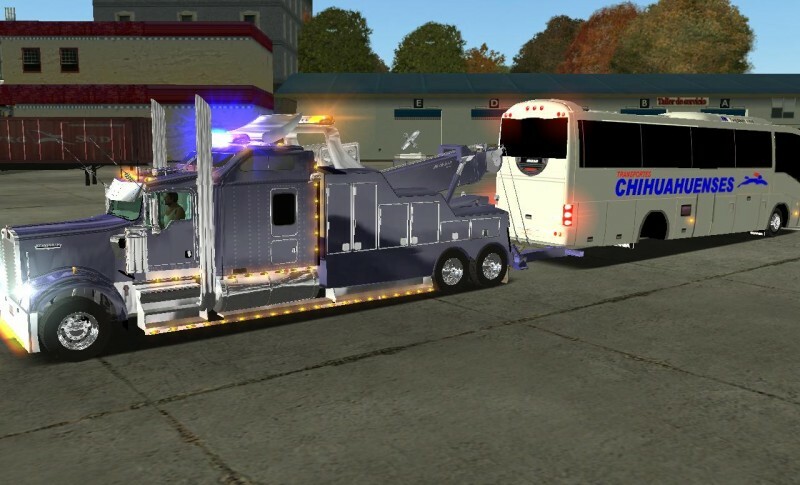 TRAILER INFO/CREDITS Truck Info Below. This is originally mitchblakes lowboy that i took and totally revamped it.This trailer now has a Cat Loader and Army Truck for cargos. Instead of Chrome, i added wood decking. This comes with a storage, included but also optional. for you standalone guys here is the lines. Add these following lines to your storage for the trailer to work. 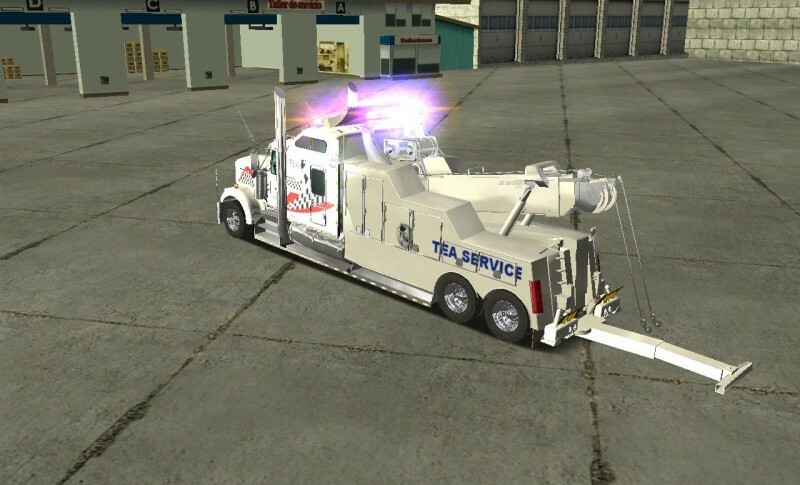 This trailer comes white but you can very easily change the color i am also including a template for the decals and side extenders. Please do not contact me with questions reguarding this trailer mod or i will quote this line in reply. But.. you may contact me for nice comments about the trailer. (MechanicTrucker79, Hardtruckisthebest, Rockhobbit99, Mitch Blake, Storm and William Maton),And the people I might have forgotten. DO NOT RE-RELEASE WITH OUT PERMISSION!!! 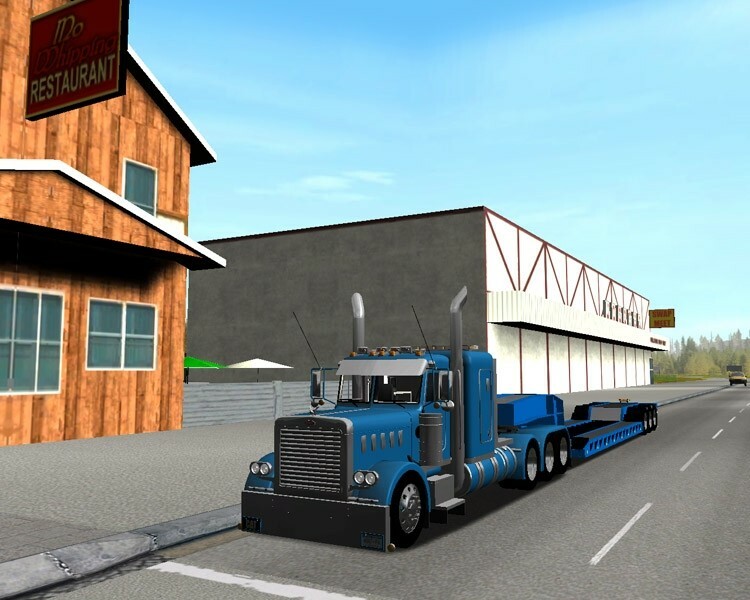 Truck Info: This truck was made for 2 VTC's (Virtual Trucking Companies) So they have 2 skins on this truck, if you do not want to use their skins, there is a third plain white one to use. 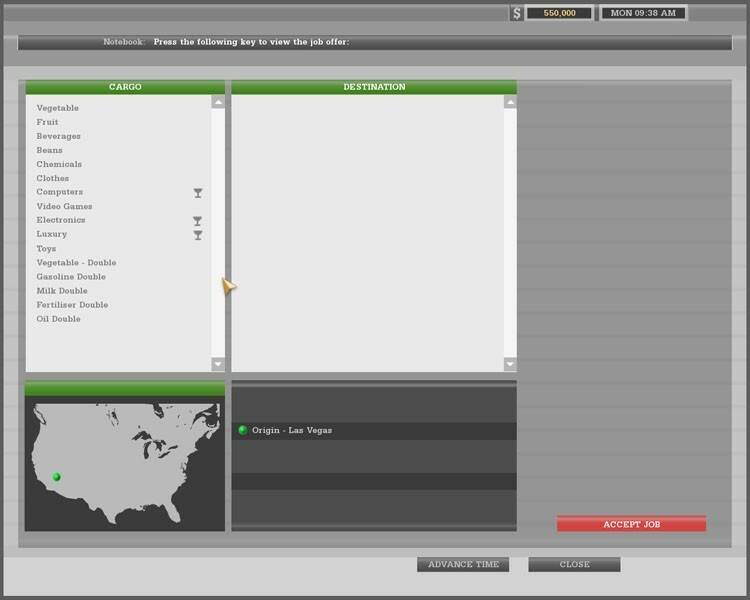 Color Picker Does Not Work. 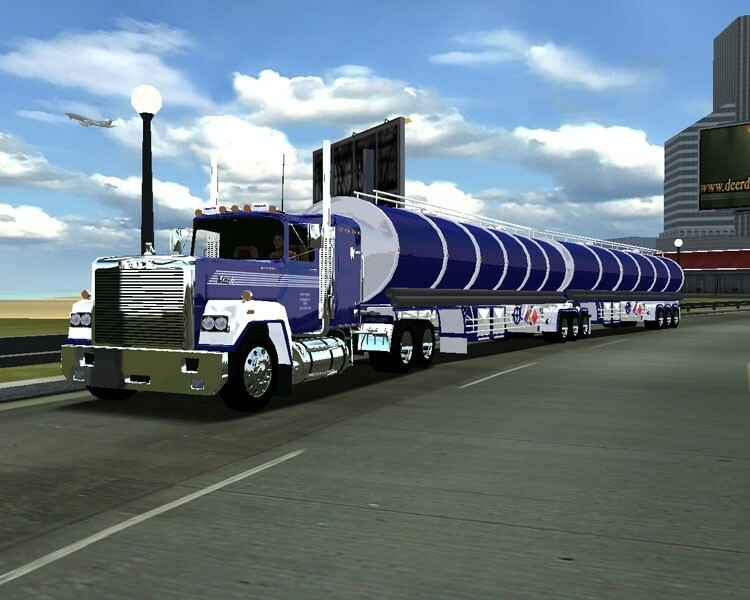 This Truck was made into a heavy hauler by Mechanictrucker79. There are 2 Accessories, Oversized Load Sign and Flags for one. The Second is Headache rack and strobes. Legal: This won't mess your computer on its own, unless you do something wrong. If this happens, it is not my fault, or anyone above. Don't ask SCS about this either, they don't care.